Joe Tam, Honda representative is a solid 5 STARS worker. This is my 5th CAR purchased from him. He is personable, honest, hardworking, and knows his craft very well. I definitely recommend anyone looking for a Honda car to contact this individual because you will not disappointed. He follows up with his clients regularly and does not miss a year. As a matter of fact, I call him personally for any issues or concerns about my car throughout my years of ownership of my cars purchased with him. I even recommended several friends and family to him as well. For that reason, I feel confident that he will project his amazing character and work ethnics to anyone who ask for help here. He is professional yet not pushy. He is patient with my buying process and answered any questions or concerns I may have. Any client that works with Ta m, is one who will have a lifelong relationship with him. Also, facility is clean with state of the art coffee machine. Dealerrater- "CR-V 2017 - Great Experience " - Tracy.M. My husband and I had been car shopping for a few months. We were looking at different makes/models until we decided that Honda was a good option. Our salesman, Peter, was excellent. He answered all our questions and clarified why Honda vs. Toyota, which was one of our doubts before buying a Honda car. The sales experience was outstanding, Peter has patience and knows how to approach customers in a passive manner rather than pressuring. The financing experience was also good. It is an individualized process, and the finance person was able to get us approved at a decent APR for being our fist car loan. 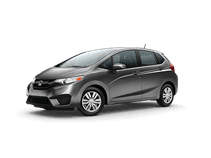 As a smart buyer, I evaluated the extra options carefully because you sit in the finance department with the car's price settle, but then you are offered many other things such as loss protection insurance, maintenance plans, etc. All these increase the financing amount, but may decrease your interest rate, so be a smart buyer before you go to any dealership. 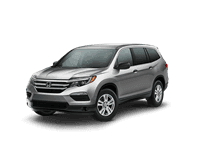 Overall, Bronx Honda is an honest and easy-to-deal with dealership. Ask for Peter Cars since a good salesperson means a good deal. Had the best experience buying my first car here. Every staff member was helpful and the entire process was silky smooth. It's been a pleasure purchasing from here. Above and beyond my expectations. Nothing but love. I would like to take a minute of time to thank Frank Rivas for helping us get the Car we were looking for. We are extremely satisfy with his knowledge and advice to help us make the best decision in our purchased. He went beyond to get us the best price and payment options. "Thanks for looking out buddy". I almost made my purchase at a different dealership but ended up cancelling because I felt as if I was being cheated. 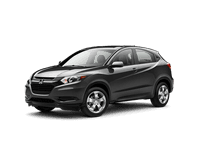 My experience with my salesman, Michael Hinton, at Bronx Honda made it abundantly clear that I had made the correct decision. The car-buying experience at Bronx Honda took about half as long and there were absolutely no surprising hidden fees added to the invoice behind my back. Michael answered all of my questions fully and accurately. It felt like a very honest and efficient experience, and when I reviewed the numbers both with Michael and on my own, my feelings about this dealership turned out to be accurate. 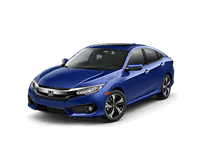 I'm loving my new Honda Civic Hatchback and plan on returning to Bronx Honda should I need another car. I would definitely recommend that you ask to work with Michael Hinton; a very charming and scrupulous man. 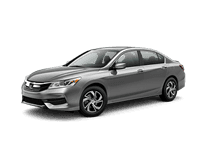 Recently purchased my third car from Bronx Honda, Kevin was great at getting me into the perfect vehicle and knew exactly what I wanted before I did. He made sure I was comfortably familiar with all the features and followed up a few day's later to make sure I was still happy with my purchase. 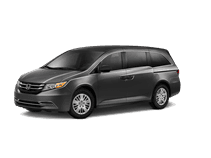 Bronx Honda is the only dealership I've ever felt fully confident and satisfied with the overall experience. I would recommend to anyone looking to purchase. I would like to thank Indar Atwaroo for helping with my new lease. He was extremely helpful and was patient with me. I would highly recommend Indar to anyone who looking to purchase a car.